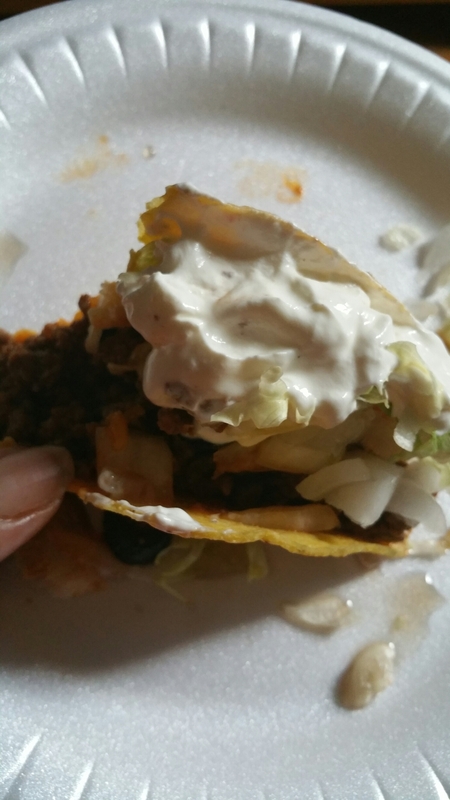 I had to show this taco it was so delicious it had meat, onions,taco sauce, lettuce. cheese & olives. I ended up eating three of them.